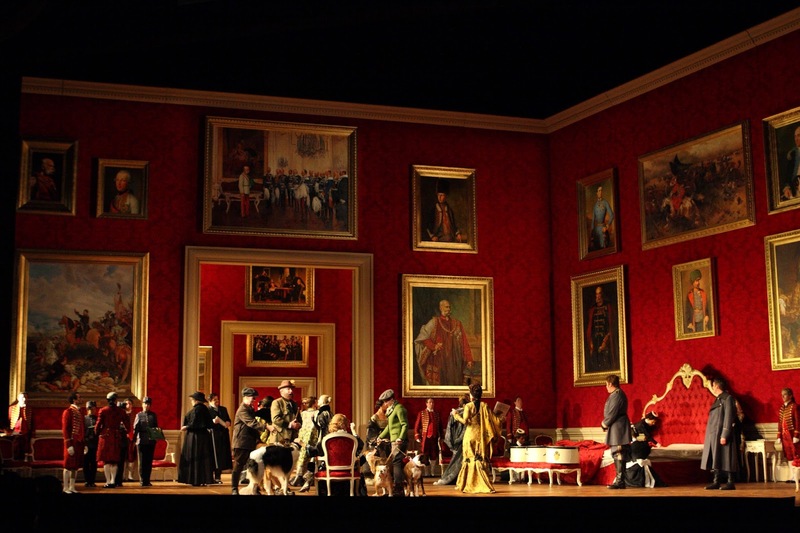 Robert Carsen's production of Richard Strauss's Der Rosenkavalier debuted at the Royal Opera House on Saturday 17 December 2016. Replacing the old John Schlesinger production (which debuted in 1984, I was there! 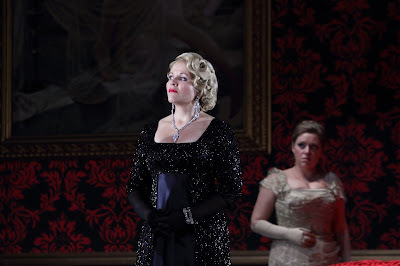 ), the new production featured Renée Fleming returning to the role of the Marschallin at Covent Garden (she last sang it here in 2000, I was also there), with Alice Coote as Octavian, Sophie Bevan as Sophie, Matthew Rose as Ochs. Sets were by Paul Steinberg, costumes by Brigitte Reiffenstuel, lighting by Robert Carsen and Peter van Praet, choreography by Philippe Giraudeau. 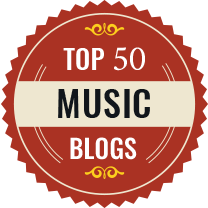 For many, almost as big a draw as Renée Fleming would be the fact that Andris Nelsons as making a rare appearance in the pit conducting the Orchestra of the Royal Opera House. 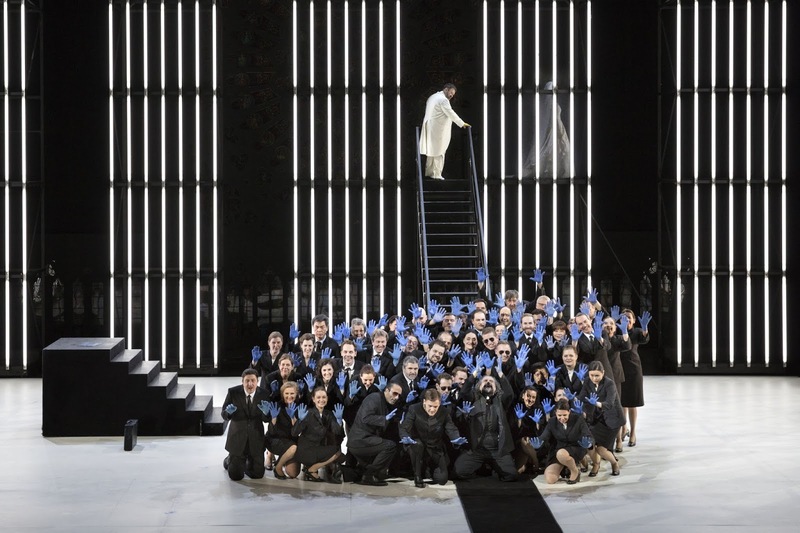 Whilst the production is new (shared with the Met, and Teatro Regio, Turin), it reworks ideas from Carsen's 2004 Salzburg production. The period is updated to 1911, Herr von Faninal has clearly made his money as an arms dealer, the third act is set in a brothel, and the final two minutes of the opera make it clear that the lovers' dream will be shattered by the events of 1914. Robert Carsen's set relied for its effect on decoration, with all three acts in the same basic shaped space, a large rectangular room, at an angle to the proscenium, with an ante-room up-stage. 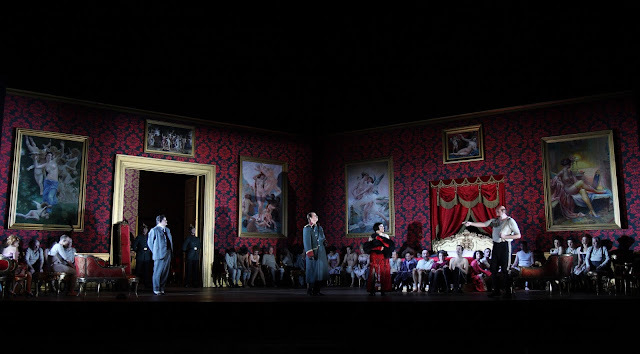 Act One featured a luxurious red, white and gold bedroom (though I wondered about the Marschallin's choice of pictures), Act Two was a modernist atrium with classical frieze, and neo-secessionist furniture, and Act Three was boudoir baroque. I don't know whether it was the fault of the setting, but despite the activity and the large number of supers, the overall production felt rather static. This was also the most serious account of the opera that I have seen. Carsen had evidently re-thought all the action (frankly no bad thing), sometimes to striking effect. Gone was a lot of Ochs' buffo schtick and the little comic touches in the Marschallin's levee. Not that this was grim performance, it was a comedy of character in the sense that Le nozze di Figaro is. 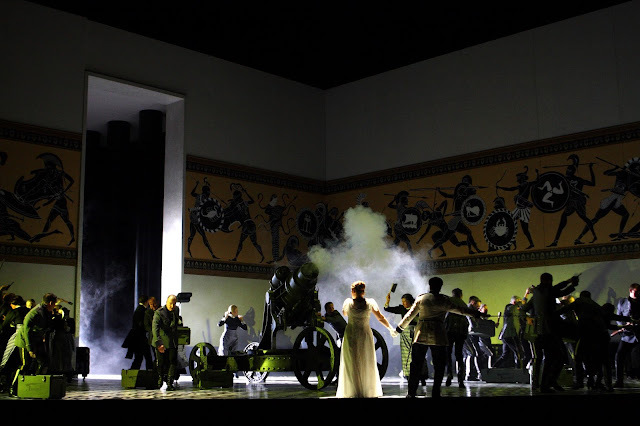 But what the production did do was to provide a setting for some very fine performances, and we could appreciate Carsen's detailed personen-regie. The production will surely provide a good setting for a whole variety of interpretors in revivals. Though I found the whole thing a little lacking in dynamism, and what impetus there was seemed to come from the pit. 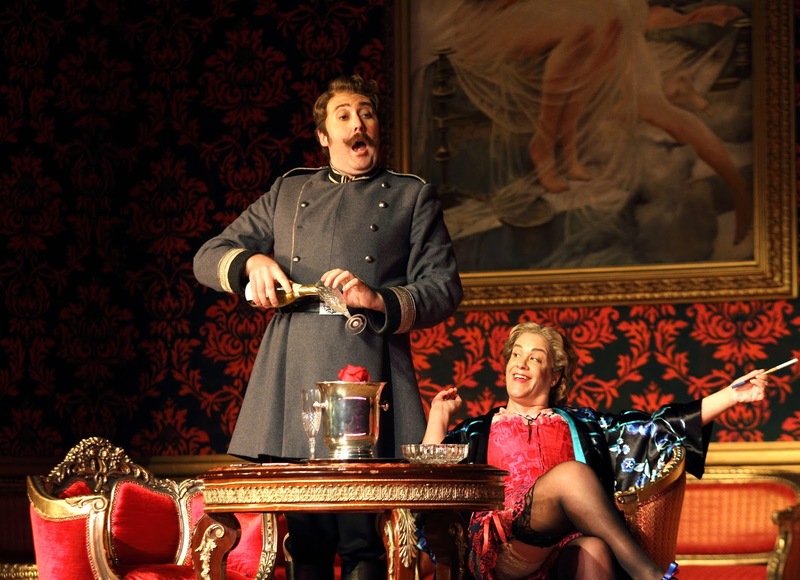 Act One was pretty traditional, though Octavian seemed more eager than usual to be dressed en travestie and, as Mariandel, almost egged Ochs on. The levee was somewhat re-thought and the attendant personnel included a troupe of mannequins, and the Italian tenor (Giorgio Berruti) was a Caruso-like figure selling his latest disc (and singing his second verse to the mannequins). The big innovation in Act Two was that Faninal was using the occasion to promote his wares, the atrium was full of military hardware including two pieces of artillery. When Ochs' servants ran riot, they seized the arms, no comic business here. Carsen seemed to be too keen to press the point, and a more subtle approach would have worked better. The strange pantomime at the opening of Act Three (no loss at all) was replaced with business in the setting up of the brothel, with Octavian dressed in one of the tarts' clothes. And there was more of a sense of Octavian leading Ochs on. I am not sure that Carsen's revised dramaturgy made any more sense than the original, though it proved a decadent context for Carsen's ideas about the music reflecting the period of composition. And at the end, the set opened up (finally! 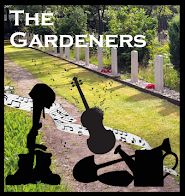 ), and we saw the approach of a troop of soldiers clearly a reference to the coming war, but again rather than give us a suggestion Carsen seemed to feel the unnecessary need to hit us over the head. Renée Fleming's voice has perhaps lost a little of its luxuriance, since I heard her in the role of the Marschallin. Her performance has developed in intensity, and she is far less reliant on simply producing a beautiful line. So her approach to the role has developed too, with a great sense of the text and a lovely feeling of nuance. This was a poised and self-possessed Marschallin, rather than a highly intense one, but a very human one and Fleming made you see the woman beneath. This was especially true of the final section of Act One where Fleming was aided by Andris Nelsons, so that she was able to shape individual details of the phrases. It was also a very intimate account, with few grand vocal gestures. During the closing scene of Act Three, in the run up to the final trio, it was not so much the music as our awareness of the gaps between the characters which counted. There was a touch of greatness about the performance and we must be grateful that the new production has tempted her to return to the role at Covent Garden. Alice Coote - Act 3, Der Rosenkavalier © ROH. Alice Coote's Octavian provided a brilliant foil for Fleming in their scenes together. Ardent, yet youthfully self-absorbed, Coote's Octavian also had a sense of humour and clearly enjoyed the Mariandel episodes. If there was something slightly self-conscious about the masculine swagger (all legs akimbo when sitting) which Coote gave to this Octavian it was at one with the character as the 17 year old tried out the manners of an older man. And I liked the way that in Act Two, Octavian seemed to be barely in control of himself struggling with attraction to Sophie and dislike of Ochs behaviour. In moments like the Presentation of the Rose, Coote gave us some fine singing with a lovely freedom to her upper range. Her duet with Sophie Bevan in Act Two was a little bit of magic. Above all, Coote's Octavian seemed to enjoy himself a great deal more than some. Sophie Bevan made feisty, very self possessed Sophie, a little spitfire at time. Bevan's voice was a trifle less soubrette-ish than many Sophies, yet still able to float a beautiful line. For the final trio and duet we had three balanced, but distinctly characterful voice blending. Matthew Rose's Ochs looked far more the age he ought to be, rather than an elderly buffoon. Though rather arrogant and not self-ware, he still behaved with the sort of dignity that one might expect, and the swaggering became almost threatening at times in Act Two. Rose gave us a beautifully rounded portrait, someone truly unaware of his affect on others and completely out of his depth without realising it. And of course, Rose was able to actually sing the role well so we had not bits of buffo bluffing, just a finely considered and brilliant portrait. The supporting roles were all well done. Jochen Schmeckenbecher was a quite a strong minded Faninal, far less the valetudinarian than is sometimes that case, and clearly with his eye on the main chance. 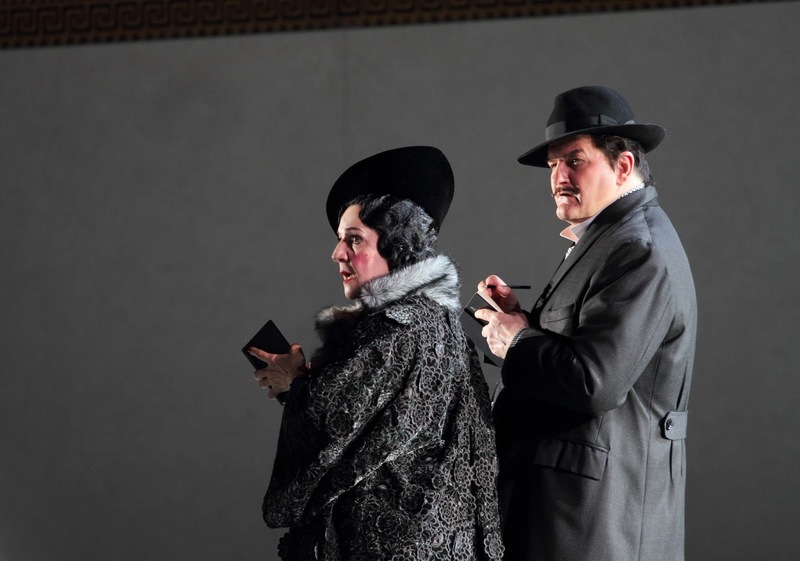 Wolfgan Ablinger-Sperrhacke and Helene Scheiderman made a delightful pair of conspirators, Giorgio Berruti sang the Italian tenor's verses with the right ardency, and Miranda Keys was a wonderfully characterful Marianne Leitmetzerin. In the pit Andris Nelsons drew beautifully fluid playing from the orchestra, balancing richness of tone with transparency to allow the voices through. Nelsons seemed to allow plenty of time for the dialogue, yet the pacing never felt static and time hardly dragged. I was constantly aware of the detail in Strauss's score, whilst Nelsons clearly had a sense of the overall structure too. Inevitably, seeing Carsen's production again will put it into greater focus (I will be seeing the alternative cast on Thursday). 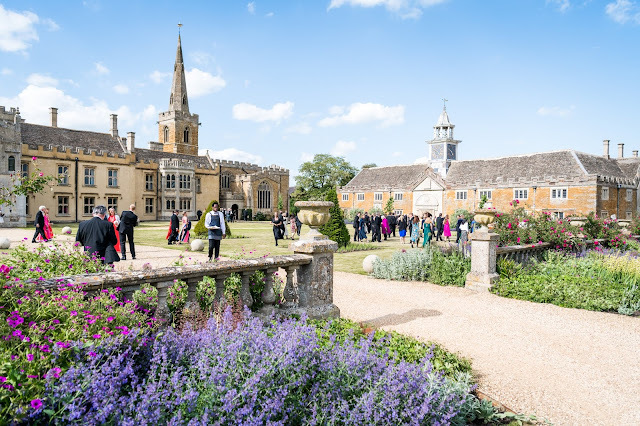 But overall it seemed highly satisfactory rather than thought provoking, and I felt its greatest virtue was the was it created a setting for some very fine musical performances.